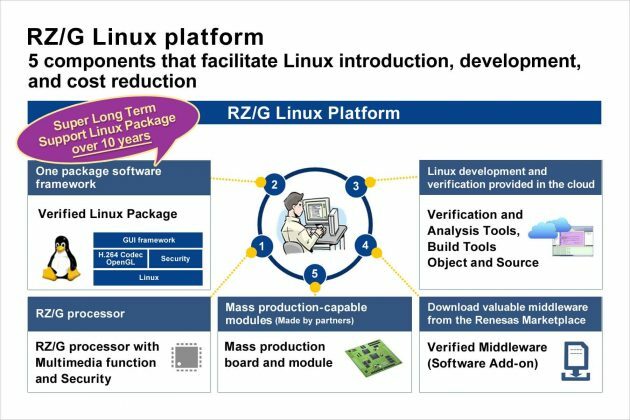 Renesas Electronics Corporation, a premier supplier of advanced semiconductor solutions, on October 16, 2017, announced the Renesas RZ/G Linux Platform featuring the industrial-grade Civil Infrastructure Platform (CIP) Super Long-Term Support (SLTS) Linux kernel, which enables Linux-based embedded systems to be maintained for more than 10 years. The new Renesas RZ/G Linux Platform provides a verified Linux package with cloud-maintenance and development options that make it easy for embedded developers to leverage Linux for high-performance industrial equipment. In addition to supporting super long-term Linux kernel stability, which can potentially reduce maintenance costs by hundreds of thousands of dollars per year – the RZ/G Linux Platform significantly reduces development time and Linux set-up costs for industrial equipment. Maintaining Linux in industrial and social infrastructure applications presents unique challenges for equipment manufacturers. These machines typically require support for more than 10 years, whereas the maximum Long-Term Support (LTS) Linux maintenance period only runs approximately two years. In addition, the industrial-grade software requires high reliability, safety and security, and real-time or near real-time performance. To address these challenges, Renesas introduced the CIP SLTS kernel into its verified RZ/G Linux package, extending its leadership with Industrial-grade Linux. The RZ/G Linux Platform provides a validated Linux package, which allows users to immediately begin development in a stable operating environment. The package incorporates several software components, including the CIP Linux kernel, a board support package (BSP), multimedia functionality (H.264 codec, 3D graphics), graphical user interface (GUI) framework (Qt, HTML 5), and security. Renesas manages maintenance and version management of the Linux distribution, significantly reducing the cost and user efforts of implementing long-term Linux solutions for industrial applications. Today, BSP package support is available for the RZ/G1M MPU, and Renesas plans to introduce support for additional members of the RZ/G1 MPU Series. The RZ/G Linux Platform is designed for new users who are migrating from a RTOS or the bare-metal environment, as well as for seasoned embedded Linux users. It provides a cloud development environment within Renesas’ e² studio integrated software development tool. This gives embedded programmers the option to write and compile their code on cloud servers, where the Linux distribution and BSP are actively maintained. The RZ/G Linux Platform also minimizes development iterations and improves overall user productivity across the board. The platform provides comprehensive code validation and analysis tools, which leverage a proprietary and extensive online database, helping users to identify potential error sources and recommend specific corrective actions during debugging. 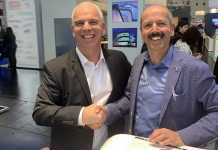 The Renesas Marketplace connects product developers and software partners with world-class Renesas silicon and software infrastructure, providing access to software and hardware solutions verified for the Renesas RZ/G Linux Platform. 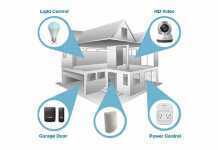 Users can buy and download security tools, embedded vision libraries, among other software. 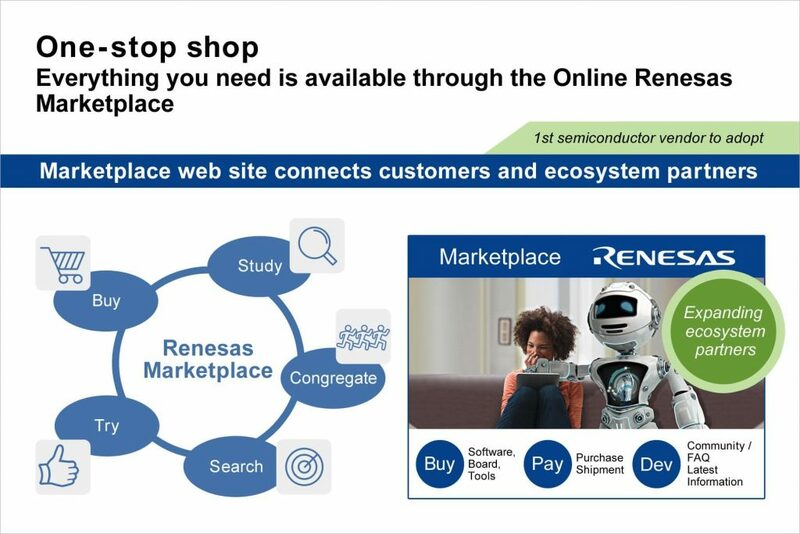 Renesas continues to expand the Marketplace partner community to strengthen the RZ/G Linux Platform and empower key affiliates worldwide. Arm TechCon, which takes place October 24-26, 2017 in Santa Clara, California, U.S.
Embedded Linux Conference Europe, which takes place October 23-25, 2017 in Prague, Czech Republic. SPS IPC Drives, which takes place November 28-30, 2017 in Nuremberg, Germany. CIIF 2017, which takes place November 7-11, 2017 in Shanghai, China.